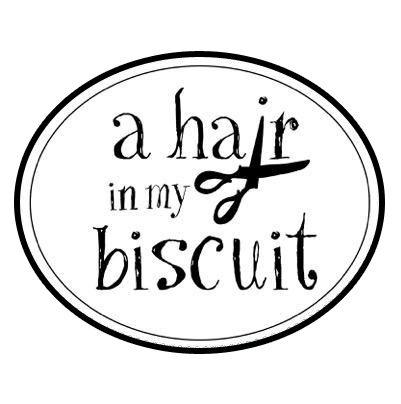 If you’re looking for new ways to build hair clientele, then you have stumbled on the right blog post! I have some tried and true methods for helping you get new clients in your chair, and for keeping your loyal ones. Whether you are just starting out in the beauty industry or looking to increase your existing business, you’ll find that filling your appointment book is easier than you think! How in the world would I know? I worked behind the chair for 19 years, and thanks to maternity leaves, medical leaves, and economic downturns, I came up with ways to build hair clientele more than once. Completing your required number of hours in cosmetology school and landing a spot in a salon are not enough when it comes to actually having a successful career in the beauty industry; you have to put in some work and utilize some great marketing practices to actually fill your book. Not only that, but you also need to know how to keep the clients you do do snag with these tips and tricks. Staying busy in the salon is not a “set it and forget it” practice! 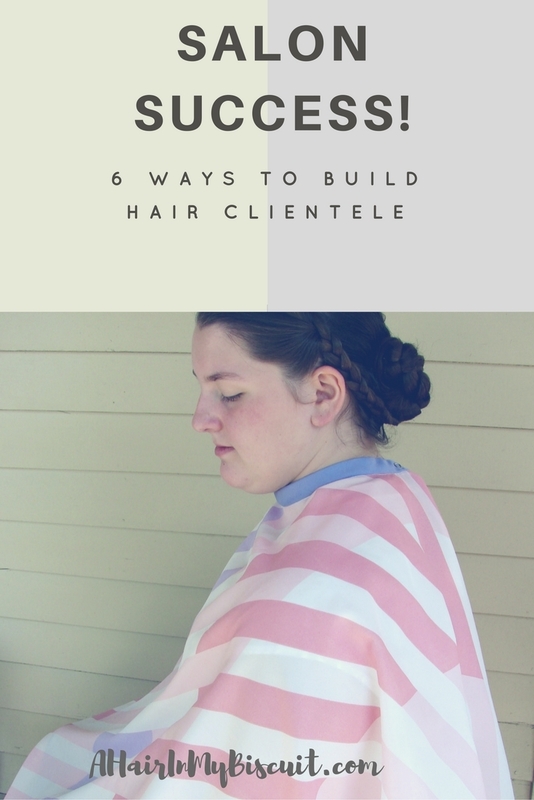 I’ll share my best tried-and-true methods to build hair clientele, and ways to nurture that clientele once you’ve built it. Go YOU! You’re fresh out of cosmetology school, you’ve secured your license by passing your state exam, and you’re ready to go to work. You’re on your way! The harsh reality is, it takes a while to actually reach an income you can live with, not to mention one you can be excited about. Building your reputation in the salon is more than just learning how to build hair clientele; it’s also about how you treat your clients, your work ethic, and having patience…lots and lots of patience. The first thing you need to realize as a new hairstylist is this: you have to be in the salon to make money. Even if your day has been slow, or even dead, you won’t build your clientele if you hit the door at 3:00 in the afternoon. Sticking around until the last stylist leaves is your best bet for getting a new client in your chair. Keep in mind that many potential clients work 9-to-5’s, and they’ll be walking in after they leave work, hoping for a ready stylist to give them a great haircut. That could be you! Ok, so maybe you’ve been hanging out in the salon since 8 am but still haven’t had a customer…all the more reason to keep hanging out! Wouldn’t you rather go home with $20 than $0? I know, it’s frustrating, but I built the majority of my business by being available after hours. And you know what? Once you snag those late afternoon clients with your mad skills and excellent customer service, it’s a lot easier to convince them to book with you on a lunch break or a Saturday morning! BONUS: Watching the seasoned stylists work in the salon is one of the best forms of education you can get! I learned SO MUCH about hairstyling, cutting, coloring and customer service just by being present and watching others work. I know you feel accomplished after completing your education and securing your spot in the salon as a licensed cosmetologist, but you don’t, and never will, know it all. Watch and learn! Congrats, you’ve used your charm and work ethic to begin to build hair clientele! Once you have built trust with a few clients and you find them back in your chair the next month, you NEED to ask them for referrals. Word-of-mouth is the absolute best advertisement you can have in the salon! I gained a TON of new clients by asking my existing ones to refer their friends and family, and I did that by offering them an incentive to do so. Give your loyal new fan three of your business cards with his/her name on the back, and tell them that once you receive these back from three new clients, he/she will get a discount, or even a free service! Humans are more likely to do something for you if you are willing to do something for them; that’s just the way the world works. Explain the terms of your incentive clearly, and enjoy the new faces that you start seeing in your chair! You may only receive one new client from each referral, but one is better than none, and you won’t be out one dime! Another great way to get the word out about your amazing skill and talent is to literally just snag someone off the street (or better yet, someone you already know) and offer them a free salon service…under the condition that he/she will hand out your business cards, tell everyone they know how much they loved their experience and service, and allow you to show off that new ‘do to the world on social media! Trust me, someone will be willing to make this trade for a free cut and color! Here’s a favorite quote that I’ve heard a zillion times: “the best way to get new clients is to be good to the ones you have.” Again, word-of-mouth is your best friend, or it can be. It can also be your worst enemy if you don’t treat your customers like gold! Pamper your clients, and let them know what they mean to you by giving them your all during their services. Listen more than you talk, learn what they like, and strive to make them happy from the consultation to the final mist of hairspray. Teach them how to achieve their look at home, and make sure they have all the right tools to do so. People are going to talk about their experience with you, so make sure you give them a reason to talk you up to everyone they know! If you really want to build hair clientele, then providing excellent customer service is probably the most important factor. Apply the golden rule every minute of your day, whether the person in your chair is an angel or a devil. It’s up to you to create happy customers! Listen more than you talk, learn what they like, and strive to make them happy from the consultation to the final mist of hairspray. To go along with this topic, I’d like to point out that taking care of my existing customers always took precedence over gaining new ones. Personally, I don’t believe in offering incentives just for new customers, and I never ran a sale or gave away services to “new clients only”. This is a common practice in many business platforms, and I think it stinks. Why would I reward someone who has never sat in my chair, without also rewarding those who have been loyal to me already? One way that I made sure to reward my existing hair clientele was to tuck “wild cards” into my appointment card holder. I wrote “free eyebrow wax” or “$5 off a haircut” (be creative!) on the back of a handful of business cards and sort of shuffled them into my stack, so when my clients pre-booked their next appointment they had a chance to earn a little freebie! BONUS: Clients will only get a chance to receive these little wild cards if they pre-book, so it’s a win-win! Another method I implemented to encourage pre-booking, which worked BEAUTIFULLY for me, was to offer my existing clients (the ones who like to call at the last minute) an incentive for booking ahead. If the client booked their next appointment during their current visit for three consecutive visits, he/she would receive a free haircut or $15 off a chemical service. My last-minute clients responded so well to this! Once they had taken advantage of pre-booking those three visits in a row, they realized how much more convenient pre-booking was compared to calling in last-minute and possibly not getting the time they wanted. It was a DEFINITE win-win, because I filled my book and he/she got a free or discounted service. SCORE! GO FORTH AND ROCK YOUR BUSINESS! The last (but definitely not least) point I’d like to drive home is to believe in yourself. You can do this, and you WILL! Even on days when you don’t feel like you’re having much success, you should always have a positive attitude. If you can’t muster it up, fake it until you make it! I’ve touched on this before in another post (Self Esteem Issues for the Self Employed), and I still believe it now. If you portray yourself as ‘the best of the best’, then people will see that in you and they’ll be blowing up your phone! Working behind the chair is such a rewarding job, and one that allows you to express your creativity and build lasting relationships. I enjoyed my 19 years as a hairstylist and makeup artist so much, and I’m proud to say I am a part of the beauty industry, even as a hair and beauty blogger. I love to see young newbies and seasoned vets be successful in this industry, and if I can help just one stylist build hair clientele, then I somehow feel like I’m still creating happy new clients! May your coffee, hairspray, and customer service game be strong. Hairstylists, YOU ROCK!